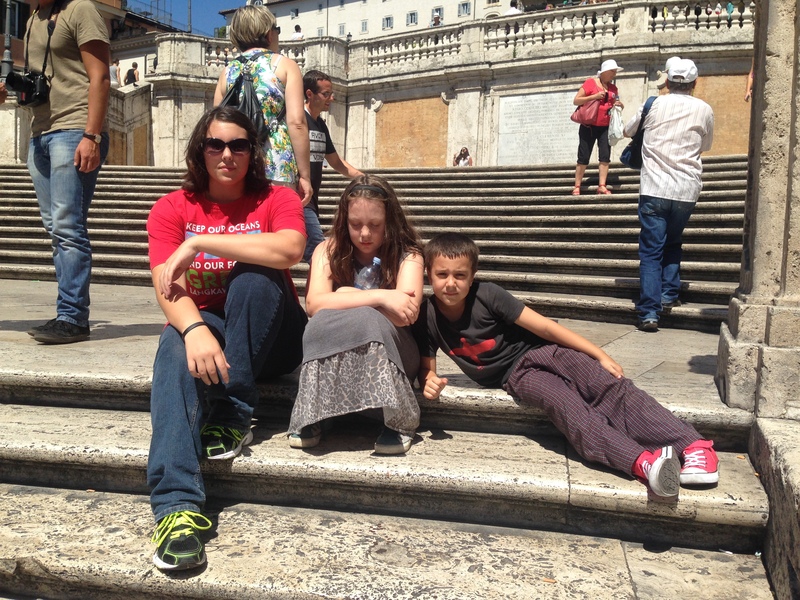 The kids and I flew into Rome and had a week to discover its treasures before heading up towards Florence to meet up with Carl. We chose not to get a car here for a few different reasons. The biggest one was that parking was terrible and it was suggested to us to utilize public transportation as much as possible. 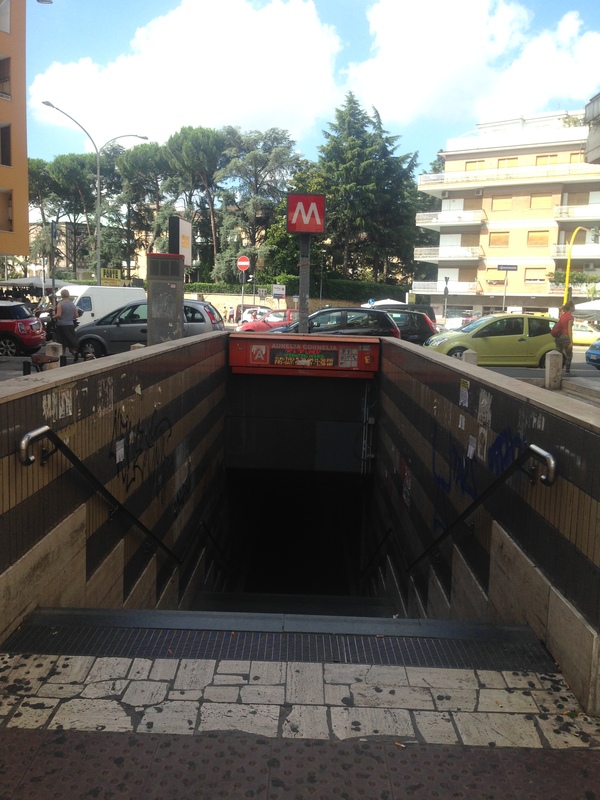 Upon seeing the parking outside our tiny studio apartment, we were glad we didn’t have to deal with it! We became very fond of the Metro! 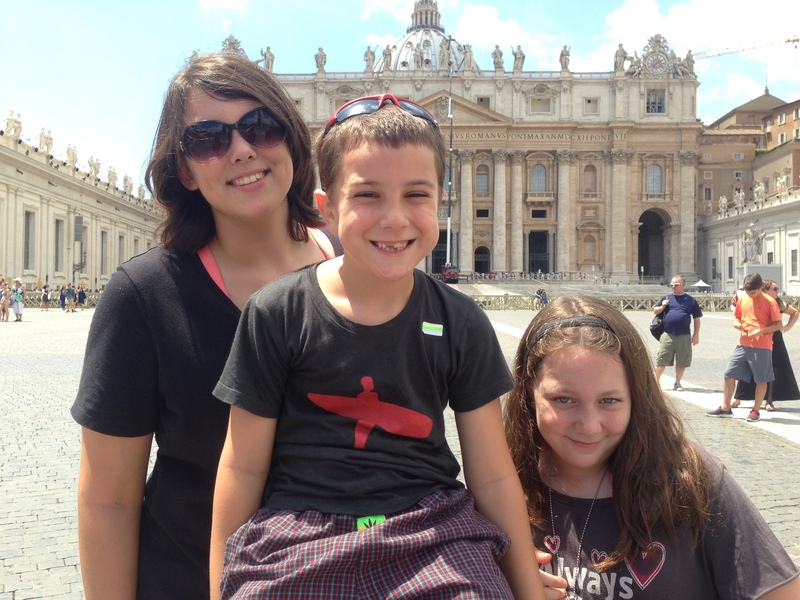 Our trip to the Vatican was on a tour. I’m glad we paid to bypass the crazy long line, but felt like we were rushed. 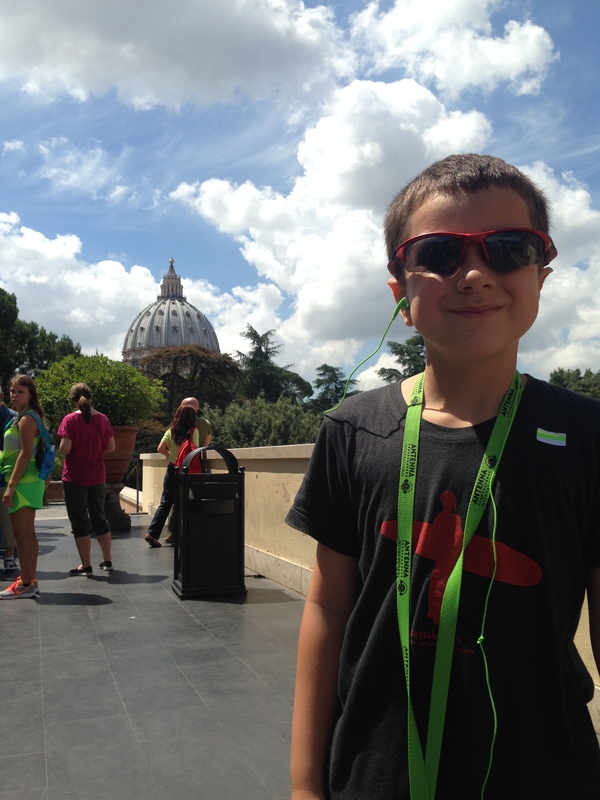 However, no matter which way you twist it, young kids and museums never mix well….at least we saw the important stuff! 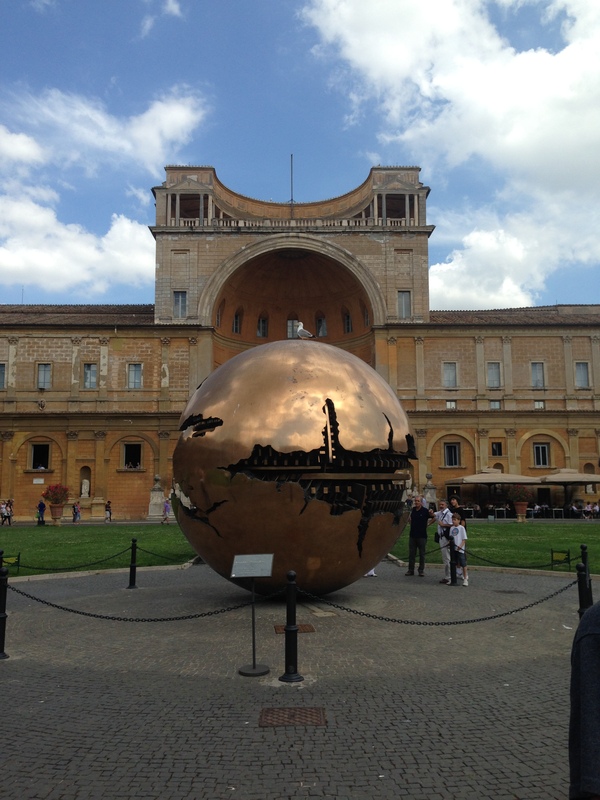 Sfera con Sfera, translated as Sphere within a Sphere, is a bronze statue that appears golden as the sun shines down on it. 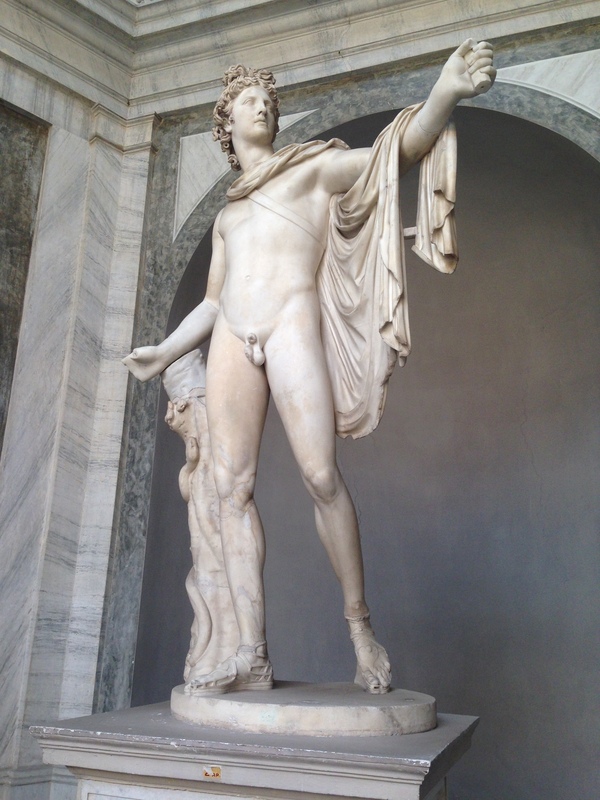 Here is the statue of Apollo. 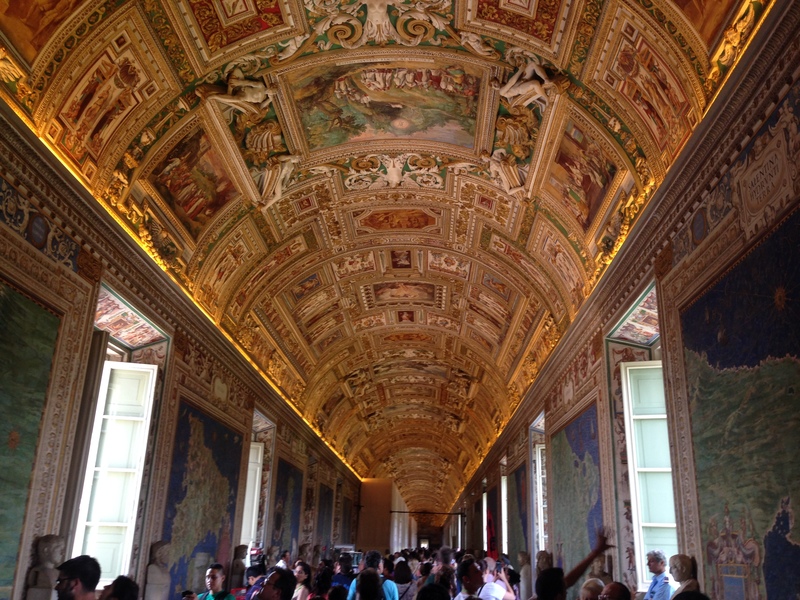 A shot of one of the many ceiling murals in the museum. 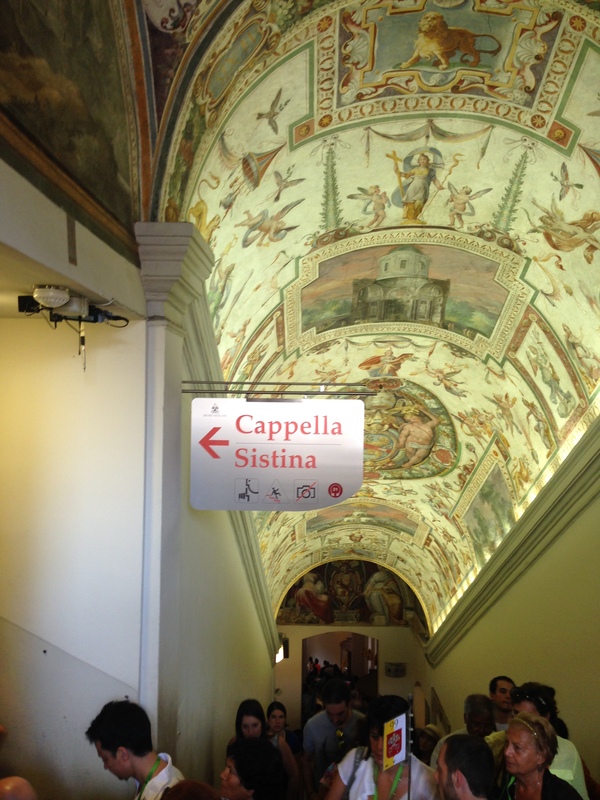 Sadly, this is the only photo of the Sistine Chapel. They are very strict about noise, photos, and videos. None of any are allowed! 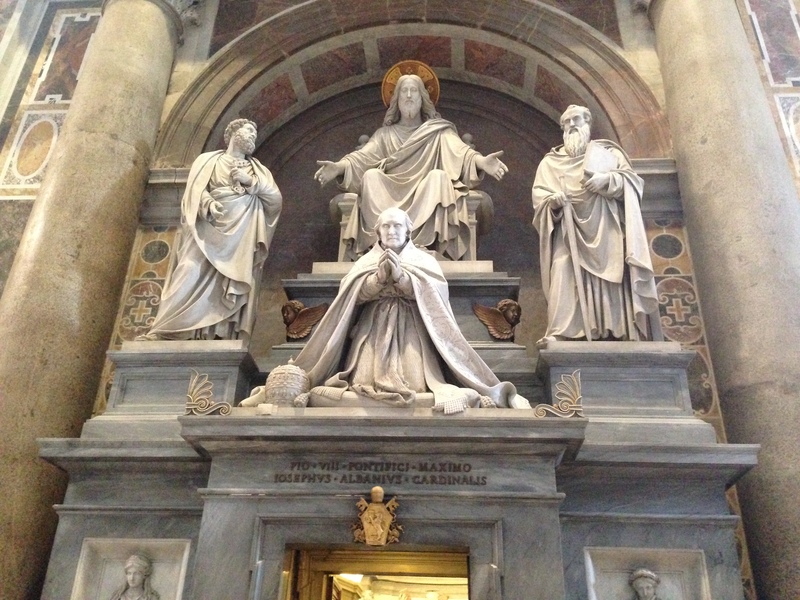 But it was absolutely mind boggling to stand inside the Chapel and look up at the beauty that Michelangelo created. It took him FOUR years to complete it! 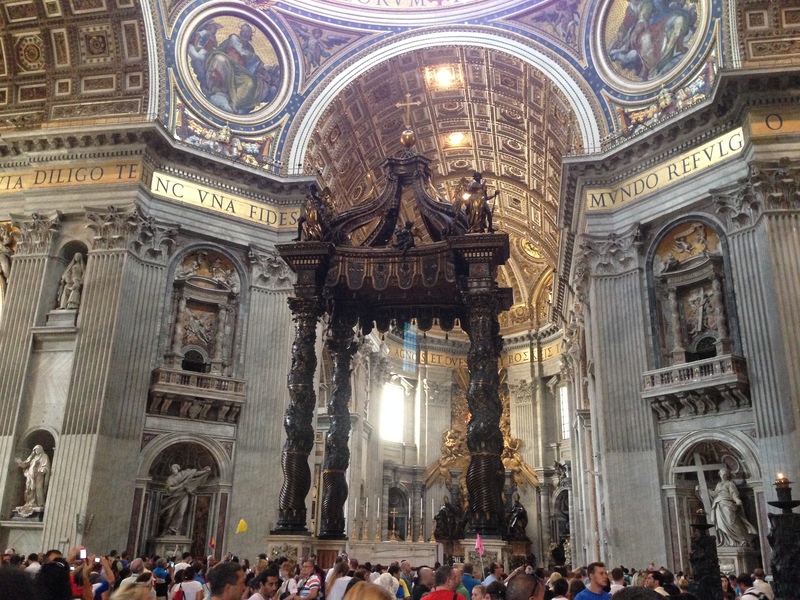 These next few are of the inside of St. Peters Basilica. 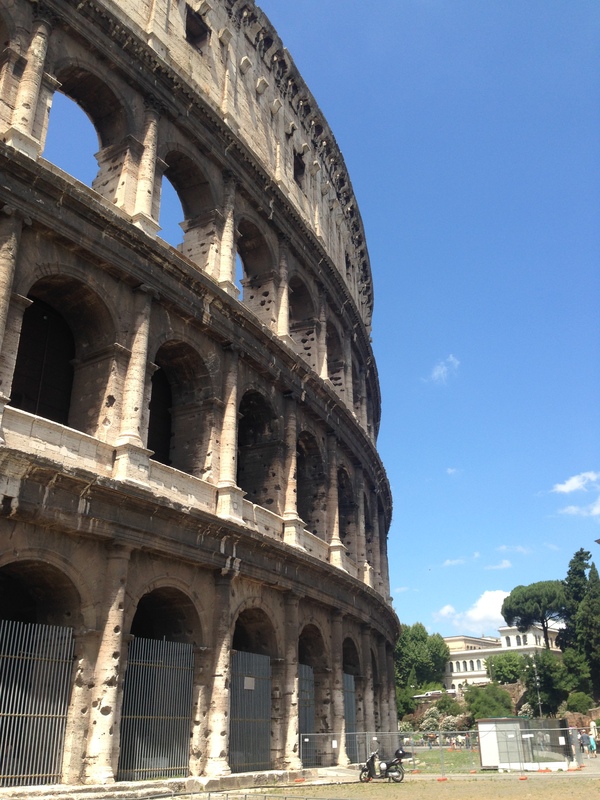 After we headed out of the Basilica we made our way to the Colosseum. 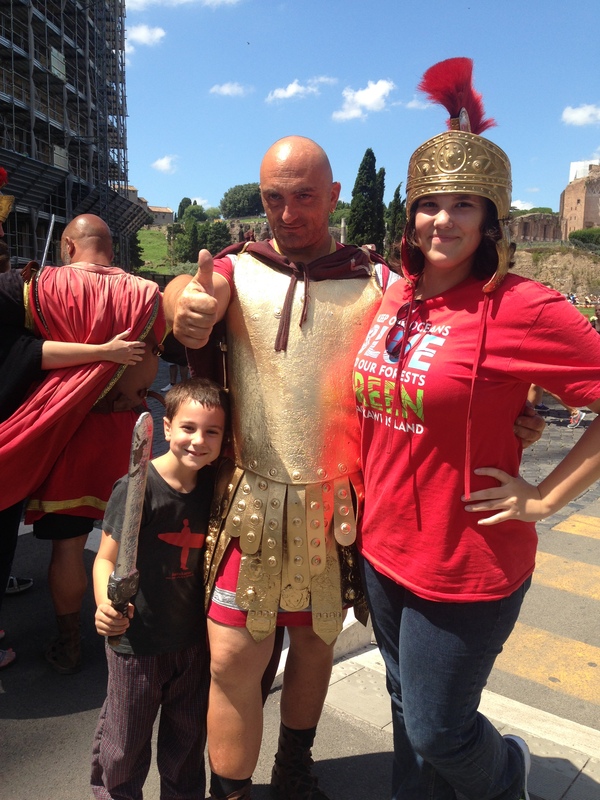 And of course the kids (mainly Sy) had to get their pictures taken with the Roman guards! 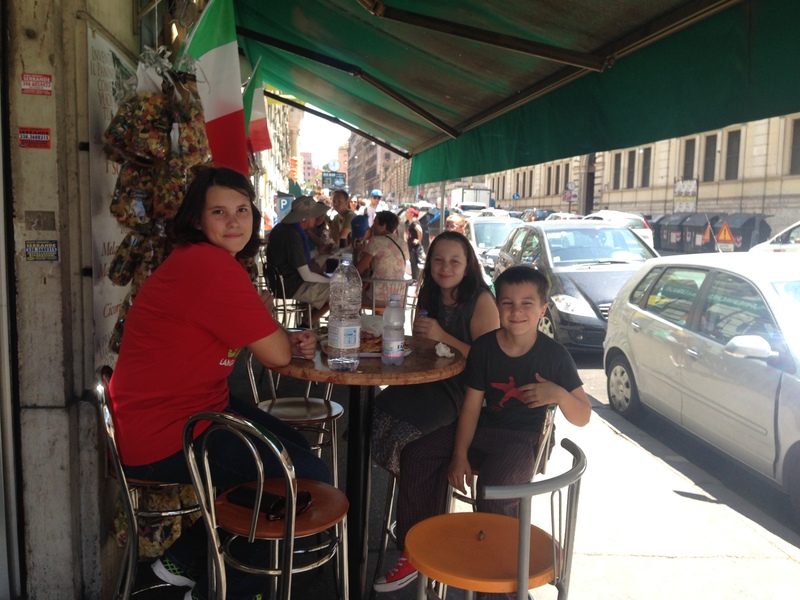 Here we area at a street side cafe enjoying a well deserved break of water and PIZZA!!! Oh how we love the pizza…. Off we go again….it’s like driving cattle, gotta go go go! 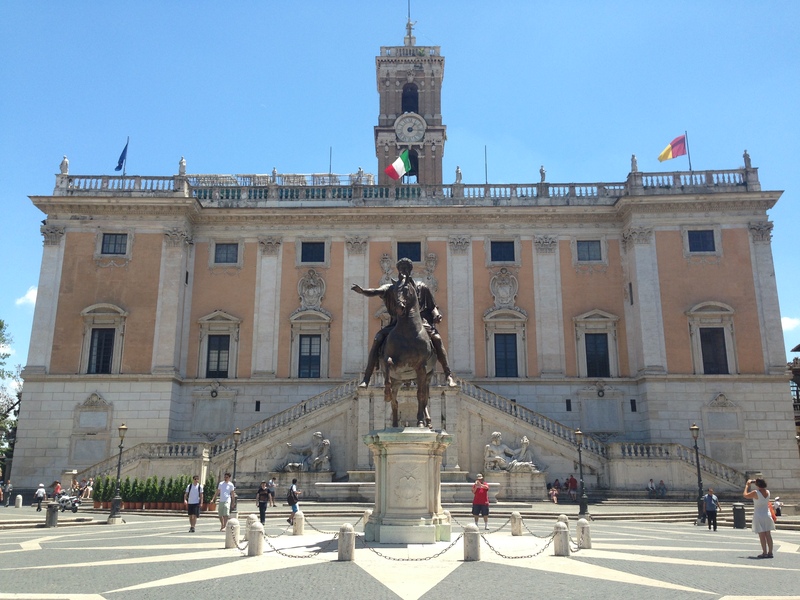 This a statue of Marcus Aurelius, standing in the open air of the Piazza del Campidoglio. 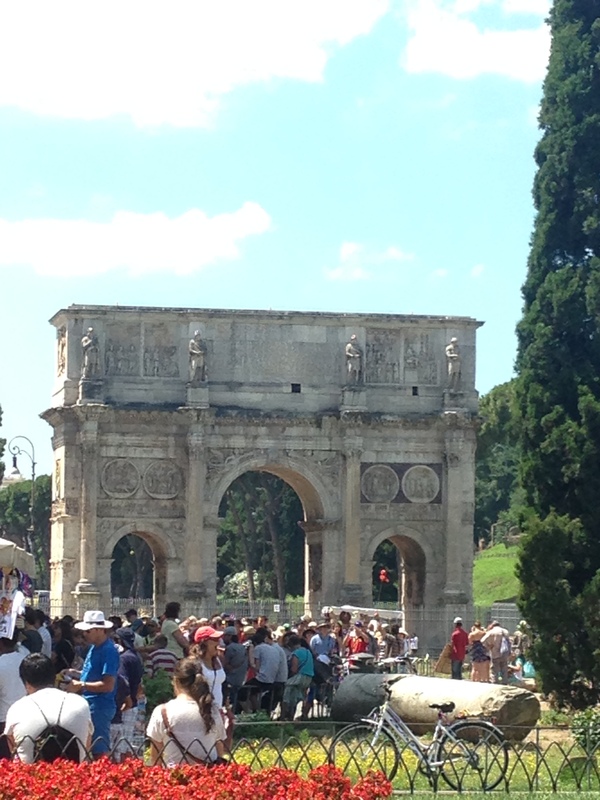 It’s a replica that was made in 1981 when the original was taken down for restoration and is now on display inside the Capitoline Museums. 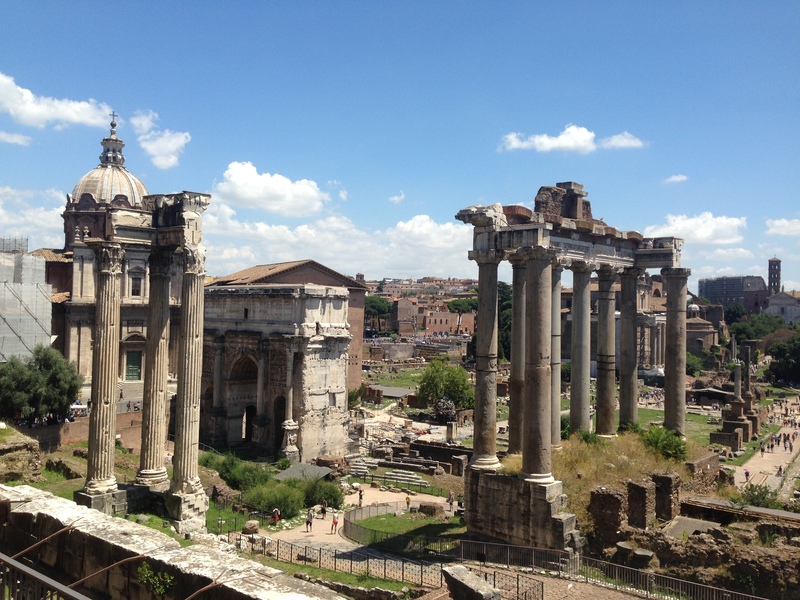 This is from our walk through the Roman Forum. 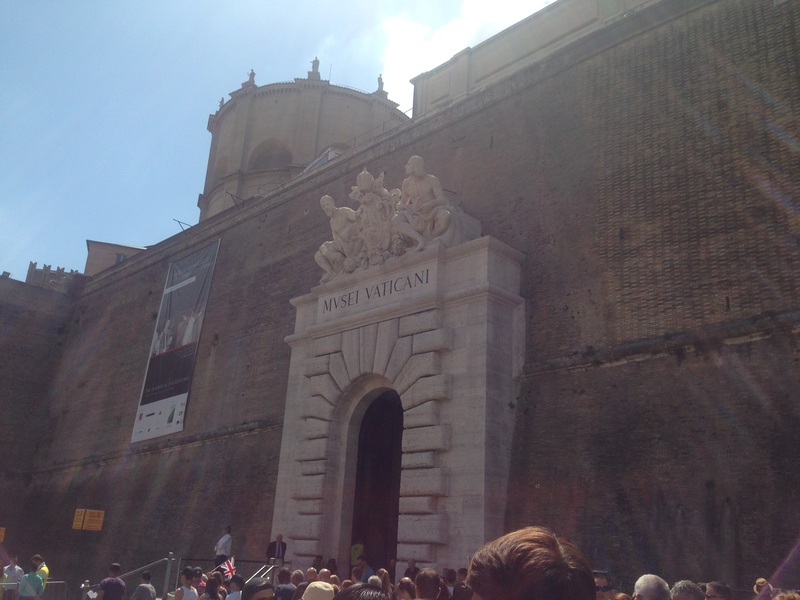 It was like walking through a history book! 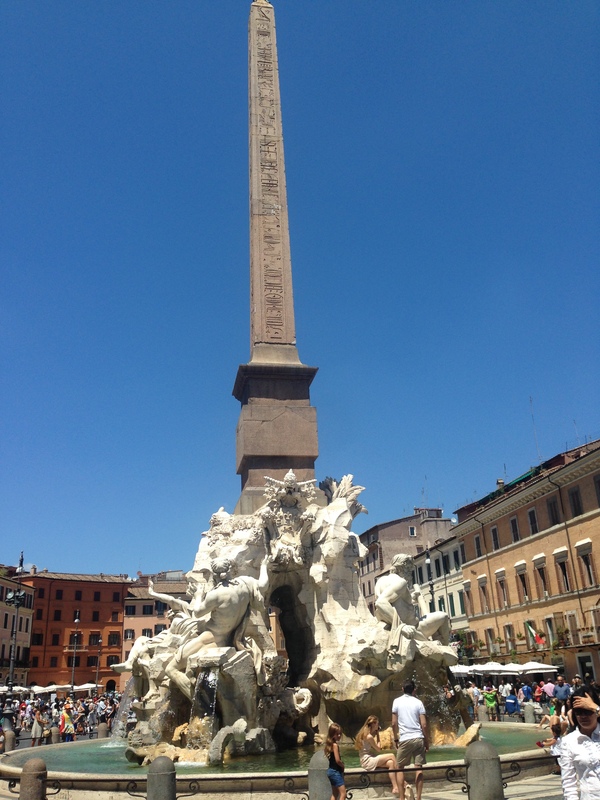 Piazza Navona houses the Fontana dei Quattro Fiumi, or The Fountain of the Four Rivers. 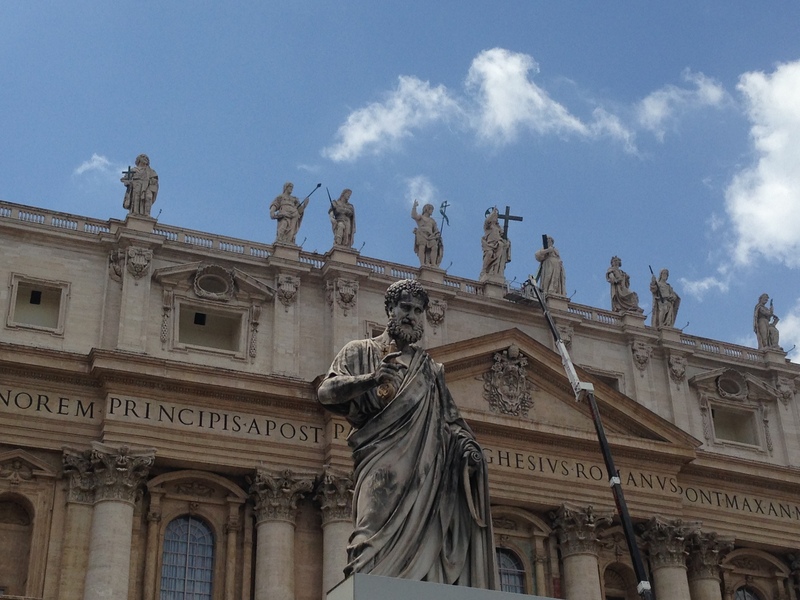 It symbolizes the Nile, Danube, Ganges, and Rio de la Plata. 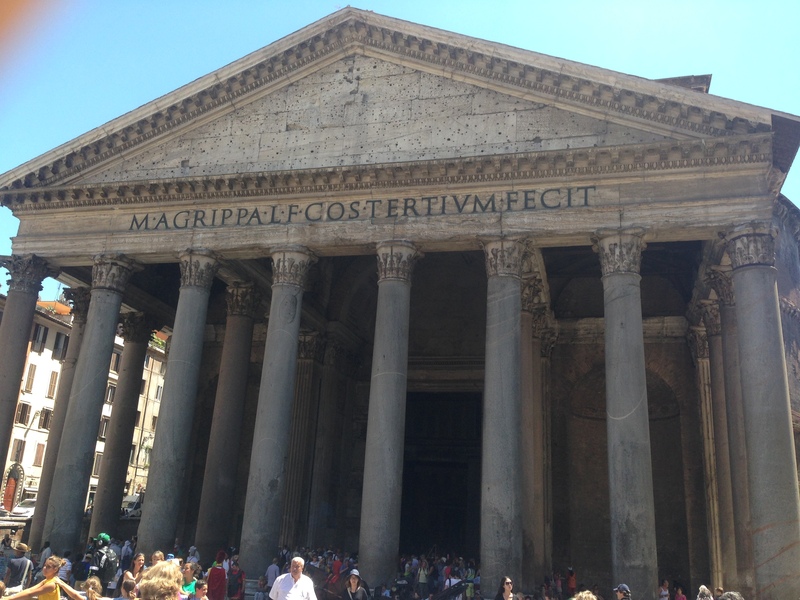 This is the Pantheon, also known as Santa Maria Rontonda located in the Piazza de la Rotonda. 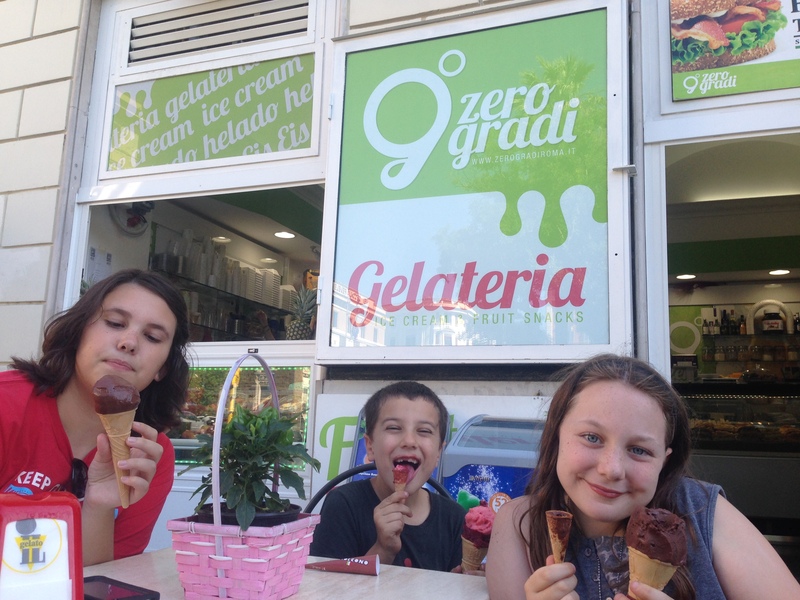 They totally deserved some gelato! Previous PostPosts you might have missedNext PostToo much to share! !